METI’s Gas Detection Training Course is designed and developed for anyone who works in plant sites, confined spaces, pipeline operations, drilling operations, servicing operations or oilfield operations where toxic gases and/or lower explosive limits may be found. We help you to identify toxic gases and lower explosive limits in hazardous atmospheres and to use various types of gas detection monitors. 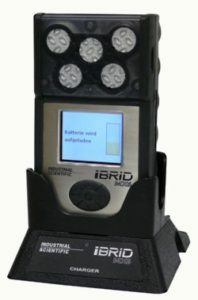 Gas Detection Training provides instruction for anyone working in or around toxic gases (for example Benzene, Sulfur Dioxide (SO2), Nitrogen Oxides (NOx), Petroleum Coke, Formaldehyde) and lower explosive limits (the lowest concentration/percentage of a gas or a vapor in air capable of producing a flash of fire in presence of an ignition source (arc, flame, heat)). By completing our Gas Detection Training Course you will be able to identify toxic gases and lower explosive limits in hazardous atmospheres and be able to safely and effectively use various types of gas detection monitors. Instruction in this Gas Detection Course with METI is a cost-effective way to ensure you or your team have the skills and knowledge to safely and effectively monitor for toxic gas and lower explosive limits. Confined spaces can, and often do, contain toxic gases and/or lower explosive limits. Many work sites, whether in processing, manufacturing, construction or oil and gas, require atmospheric testing for contaminants. Having the skills and knowledge to properly use gas detection monitors is key to working safely in these environments. This Gas Detection Course provides you with the skills and knowledge you need. Users of gas detectors must understand much about gas detection before entering into potentially hazardous environments. This cannot be achieved by simply providing workers with gas monitors. Even as gas detectors become easier to use, injuries and deaths in our workplaces will continue as a result of improper use of the instruments. Workers should understand how to properly operate and maintain their gas detection instruments at all times. The workers must use the gas detectors in a way that ensures their safety, every day. METI’s Gas Detection Training instructs your workers on the principles and practices of gas detection and gives them hands-on training with the monitors.